March 21st, 2019 - 11:48 am § in Misc. March 21st, 2019 - 3:25 am § in Misc. As Brexit Teeters, What flag should the English fly? 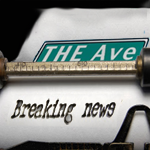 You are currently browsing the The-Ave.US blog archives for the day Thursday, March 21st, 2019.